You will love this supermarket in Neustrelitz, Mecklenburg-Vorpommern federal land. 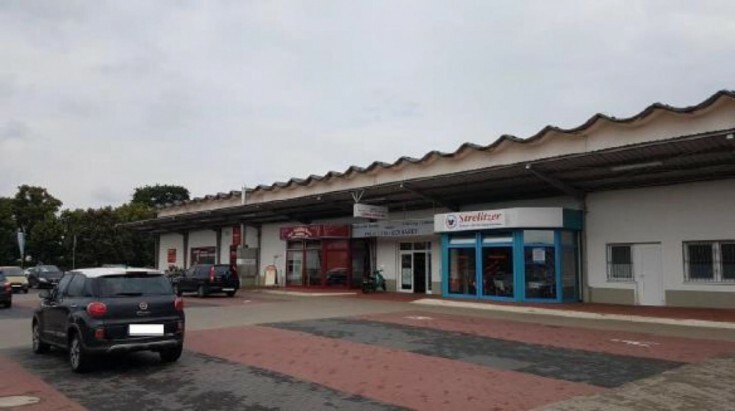 The property includes 11 commercial premises, 4 of which are available for rent. There is also a parking for 85 vehicles. Fixed expenses such as heating and insurance are approximately €30,000 per year. Supermarket Penny has been the main tenant of the premises since 1997. Its contract is valid until 2020. Other tenants include a bakery, butcher's shop, electronics store, beverage store and others. In 2012, the renovation and modernization of the property has been made. The property is located in a residential area and 3 km away from the historical center of Neustrelitz. Neustrelitz is a town in Germany, a district center, located in Mecklenburg-Vorpommern federal land. It is a part of the Mecklenburg-Strelitz district. The population is about 23,000 people.